Double Bubble from Gamesys is so old school it’s brand new, with 5 reels, 20 paylines and a possible x20,000 top win. The reels are full of classic fruit machine symbols - bells, grapes, plums and melons. Win wilds and the Double Bubble Popper with multipliers galore, plus the Bubble Line bonus for extra riches. We show you the best places to play, where to get the best bonuses and what bonus codes are currently available on this awesome slot. Read our full review below. What is the RTP on Double Bubble? The Return to Player on Double Bubble is 96.02% - this means that, in theory, if you were to wager £100 you would get paid out £96.02 - of course you can't bank on this as the calculation is done over an infinite number of spins and the smaller your wager the higher the variation will be. If you want to get a first-hand look at what it's like to hit a big win on GameSys's Double Bubble slot, then look no further. The video below captures an impressive jackpot on this fun and exciting game. There are definitely some big wins up for grabs in Double Bubble, which offers up an impressive 200x top prize when five logo symbols land on the reels. Double Bubble is a classic five-reel, 20-payline free slots game from the established UK developer Gamesys. With a simple formula that references vintage Vegas casino slots, Double Bubble will take you back to the old school! Double Bubble transports you to a Vegas casino and an American diner in one spin. The strong retro vibe and the pop of colour just add to its appeal. With a subtle melody upon each spin, players are not bombarded with grating sound effects throughout their game. With such a zany appearance, players will be bubbling up with joy at the sight of Double Bubble! Double Bubble adopts a classic clear-cut formula that never fails, as most fruit machine enthusiasts will agree. With two bonus games plus a possible jackpot win of $20,000, players will definitely do a double-take at this marvellous game. The game plays on the classic slot symbols from old Las Vegas casinos, but with a neat twist. There is a classic bar symbol, some melons, oranges, grapes and plums, and a set of bells. The familiar melons are heart-warming, as is the betting minimum of just $0.01 compared with a maximum payout of $20,000. Only a fruit-loop would pass on placing a bet with these paytables! Getting started playing Double Bubble from GameSys is easy. As soon as the game loads, you're presented with 20 paylines and you can choose to wager on any number of theme. Normally, newer online slots have fixed paylines but Double Bubble gives you the option to choose the number of lines that you bet on. Still, we'd recommend betting on all 20 to maximise your odds of winning. You're also able to choose a coin size betwen 1p and £5. Whatever you choose, it will be multiplied by the number of paylines that you're wagering on to calculate your total wager. There is no autoplay option, unfortunately. To hit winning combinations, you must land 3 or more symbols on the same payline. What sets Double Bubble apart from other similar slots is that some of the symbols actual pay out of 2-of-a-kind winning combinations, increasing the overall volatility of the game and helping you trigger winning combinations more frequently. To trigger the bonus round, you need to land the bonus symbols anywhere on the wheels. During this round, you'll be prompted to pop bubbles to win prizes. There's also the Bubble Line bonus. Whenever a symbol appears in a bubble, it is placed on the Bubble Line, which is like any other payline except a multiplier is applied. The multiplier is equal to the number of lines you've played, but if you've bet on the maximum, then the multiplier is x22. Like all GameSys titles, Double Bubble is available to play on both mobile and desktop devices. You can give it a spin from your tablet or smartphone and you'll have the exact same gaming experience as you would while playing from a PC. You don't miss out on any gameplay details, and the mobile version of Double Bubble features graphics that are just as sharp and vibrant. The game is available to play on iOS, Android and Windows devices, which means that you don't have to worry about whether it will be compatible with your tablet or smartphone. Additionally, there is no need to download any software, as Double Bubble is a browser-based game, so you'll be able to save space on your device. Double Bubble is free to play and available on desktop, mobile and tablet. Don’t let anyone burst your bubble - pop out and continue playing Double Bubble on our mobile site. Enjoy playing this free slots game and more here at Slots Temple. The wild in Double Bubble could not stand out more - it comes in the form of the game’s own pink logo! The wild substitutes for all the other symbols except the Double Bubble bonus icon. The Bubble Popper bonus is triggered whenever the bonus symbol shows on reels one, three and five. Players are then presented with a bonus screen where they can take their pick from a selection of bubbles, each one containing a different bonus multiplier. With the Bubble Popper bonus, all wins are multiplied by the coin size bet. Even better, players can multiply their win with the incredible Bubble Line bonus, which can be found at the bottom right of the play screen. In a fun twist, if a bubble is shown around icons on the reels, the symbol it surrounds is transferred to the Bubble Line. Once a winning combo of symbols is formed in the Bubble Line, the win is multiplied by the number of lines staked. The Bubble Line wins are awarded from the base paytable and multiplied by the Bubble Line multiplier. Only the highest win is paid on the Bubble Line. The Bubble Line multiplier is equal to the number of coins bet, with the exception of when 20 coins are bet; in this case, the multiplier is increased to x 22. Once you get a taste of the win, you will keep coming back for more! Want to play a few rounds on Gamesys's Double Bubble slot, but just don't have the time to give it a good go? Well, we've got you covered. With our 100 Spin Experience, we'll take an in-depth look at the gameplay of this popular online slot to let you know exactly what it's like to give it a spin. The first thing to note is how quickly the game loads. It was a matter of seconds before we were able to give the game a spin and could get started right away, which is always a plus when you're playing on the go. Then, we set our line bet to 20p and wagered on all 20 paylines to maximise our odds of winning. 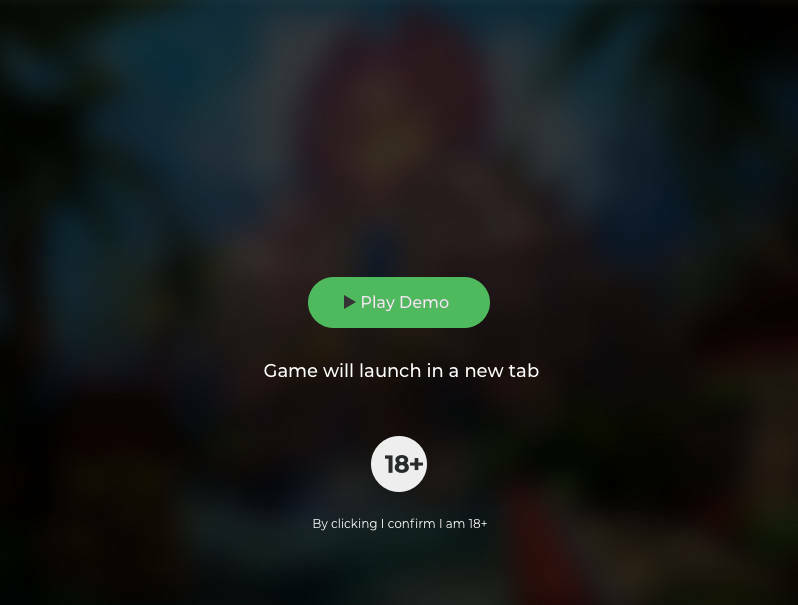 Unfortunately, here was no autoplay feature, so we had to hit the spin button on every round - which is a bit of an inconvenience if you want to multitask. Over the course of our experience, we had quite a few winning streaks with prizes ranging from 5x our total stake to 50x our total stake. Sadly, we didn't cash in on the top prize or trigger the Bubble Popping Bonus, but there were plenty of payouts to be earned. Our main gripe about the game is that the Bubble Line bonus is a bit difficult to grasp. The game's instructions state that symbols that appear in a bubble are placed on the bubble line and a multiplier is awarded based on the number of lines you've played. However, we filled the entire bubble line with symbols and were still unable to trigger the multiplier. It was only after a few rounds that we understood that you have to land a symbol on the bubble line and have that symbol land on a paying line. If more symbols land on the bubble line, then that simply increases your odds of hitting a generous multiplier. Aside from that, Double Bubble is a great online slot that is sure to keep you entertained and engaged as you spin the reels. You'll be thrilled with the frequency of the payouts and the Bubble Line bonus does add to the excitement - once you figure out exactly how it works! Sweet 27. If you like the retro look and feel of Double Bubble, then Play n Go's Sweet 27 is the perfect slot for you. This game features 27 ways to win and features an art style that is designed to make you think of ice cream parlours from the 1960s. Sweet 27 offers up a generous re-spin feature that is triggered whenever two wilds land on the reels, which can be triggered quite frequently. Secrets of the Phoenix. GameSys certainly knows how to make great slots, and if you enjoyed playing Double Bubble then you're sure to love this other fantastic hit from the same developer. Secrets of the Phoenix offers players 25 generous paylines with a wide betting range, and Raining Reels which can trigger multiple wins during a single spin. You can also earn up to 25 free spins during the bonus round. Sugar Pop! This is another vibrant online slot, with a theme that is sure to entice you if you're already a fan of Double Bubble. This game takes place on a grid with symbols that disappear every time you hit a winning combination to make way for more payouts. There are over a dozen different power ups that you can earn by levelling up, and each one triggers more generous bonuses than the last. Fruits Gone Wild. If what you loved about Double Bubble was the fruit machine feel, then Fruits Gone Wild from Stakelogic is sure to tickle your fancy. This game also features all of the classic fruit machine symbols - but with an added twist. You can trigger XL symbols throughout the base game and free spins round to help you trigger even bigger and better winning combinations. Gem Heat. One of the most attractive features of Double Bubble is the increasing multipliers that you can earn throughout the base game. For a similar experience, check out this Playtech title, which allows you to earn increasing multipliers throughout the free spins bonus round! Playing any of these fantastic online slots is sure to provide you with as thrilling of an experience as when you spin the reels on Double Bubble. Be sure to check out other great GameSys titles, as well, and slots with retro themes always ensure a good time! * Double Bubble Gamesys trademark / license is owned by GameSys. This site is not endorsed by GameSys.